Through our world leading filtration technologies, we developed and manufacture various synthetic composite filter media for home appliances (room air purifier, vacuum cleaner) and air ventilation system, ranging from single functional particulate filtration to bi-functional particulate and chemicals/odor removal. The media are odorless, VOC-free, high dust loading capacity, with efficiencies from mid-efficiency to HEPA level (G4-H14). 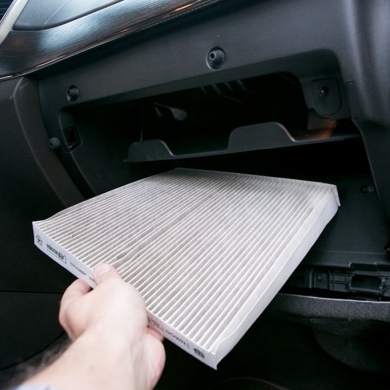 Our filter media will greatly improve the indoor air quality for your home and automotive cabin. The high value for money odorless and VOC free thermalbond backer used for the laminated media offers highest economic value to the media users. The high stiffness odorless and VOC free spunbond backer offers the laminated media perfect pleating geometry on varied pleaters. The ultra thin odorless and VOC free thermalbond backer allows the laminated media to achieve the maximum flow of the finished filter by maximizing the space among pleats, thus the highest CADR. With Trilobal fiber structures, our CM-T series of products have higher efficiency, lower resistance, and higher dust holding capacity when compared to other competing products sold on the market. Our electrostatic filter media comes with several different features such as high efficiency, low resistance, great dust holding capacity, and good pleating performance. 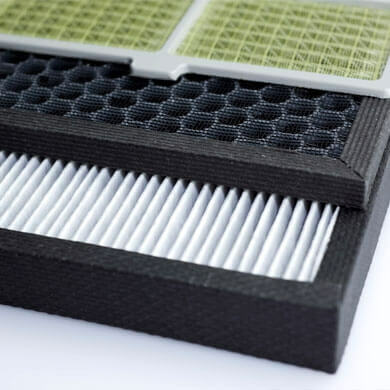 Our PP meltblown and PET support material composite air filter comes with features such as high efficiency, low resistance, and good pleating performance. Laminated with electrostatic needle-punch media and PP plastic mesh composite, our CM-EN series of products come with several features such as high efficiency, low resistance, and high dust holding capacity.